If you ask my children about traveling to Mimi’s in the old Volvo station wagon, they would immediately recount the time we brought cemetery fencing and a huge gate back to Florida from Virginia. From my point of view, the 100 year old wrought iron fencing was too wonderful to pass up and, after all, I had a station wagon. My little ones were under 10 and every year when we went to Virginia to visit, they usually stretched out in the back of the car for the long 700 mile trek. On this trip back home, we threw blankets over the fencing for padding and hit the road. Yes, I felt slightly guilty about putting my children in that position, but I had to have it! And – I still enjoy it after all these years. I must say that one of my favorite adventures acquired from researching ancestors is visiting cemeteries; especially the older ones with their charm and ornate headstones and antique fencing. 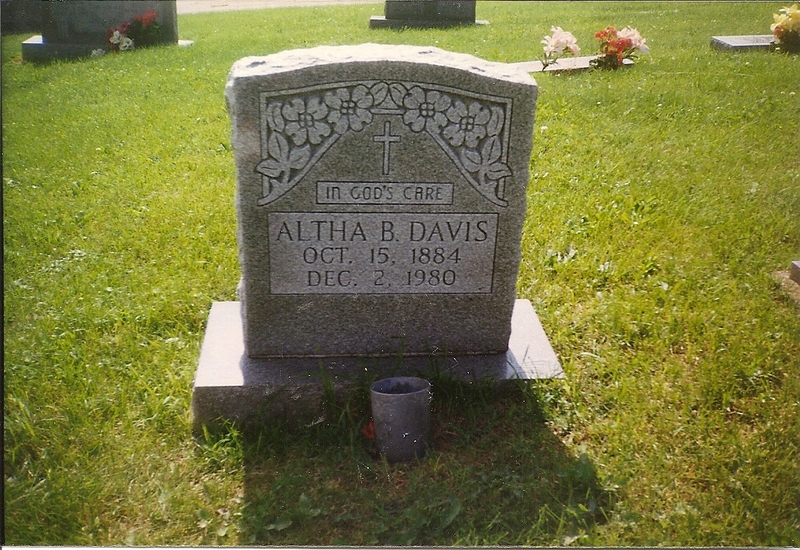 While visiting the grave of Altha Rudolph Brooks Davis, my maternal grandmother, I noticed by the maintenance shed that the grounds crew had removed the entire fencing and gate from an old cemetery plot. HOW COULD THEY? 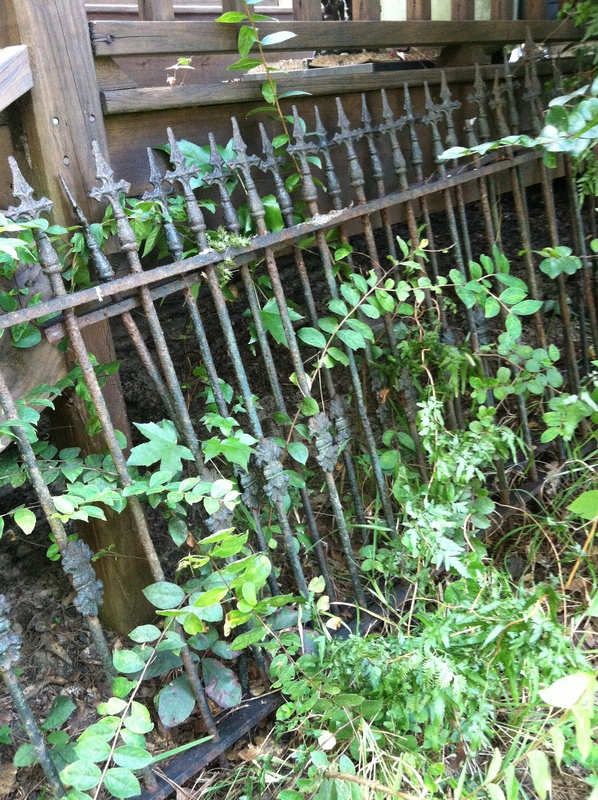 When I inquired, I was told that the family wanted the fence removed, and that it would be thrown away. THROWN AWAY? – I COULD NEVER LET THAT HAPPEN! 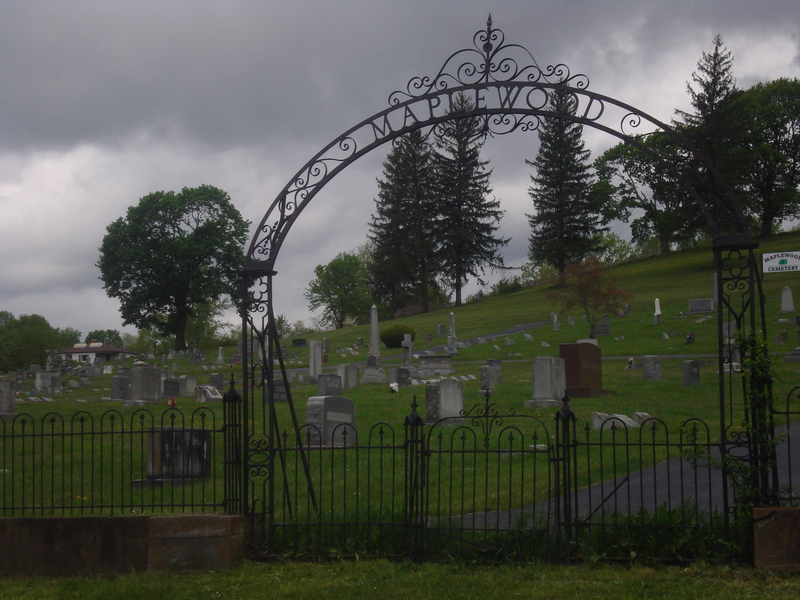 For many years the old wrought iron fence had protected a family plot at the Maplewood Cemetery in Tazewell, Virginia. 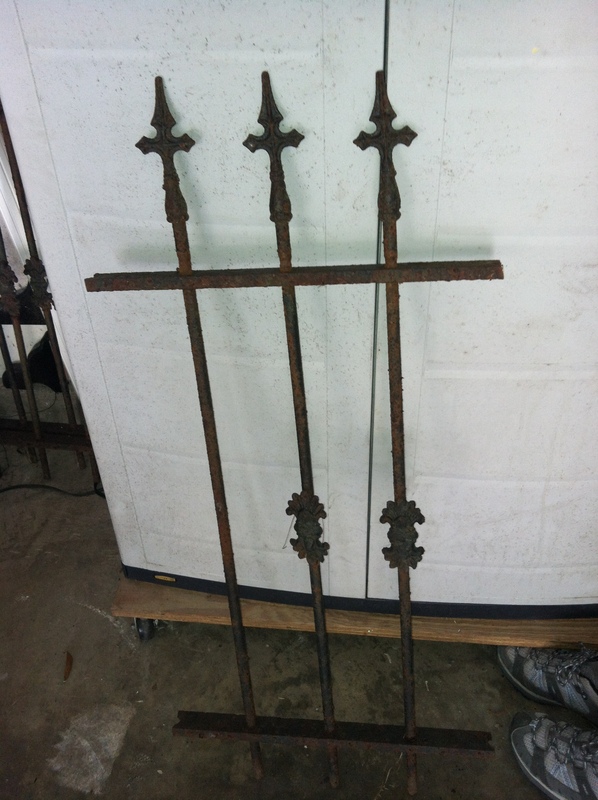 Made by Stewart Iron Works, Cincinnati, Ohio by the Stewart family whose roots were in blacksmithing. The emblem on my gate is difficult to read today due to the corrosion and rust over the years. …but I wouldn’t change a thing about it. I’ve decided to share my fence at the Sweet South French Country Flea Market on October 19th, 9-4. Yesterday, my husband was kind enough to cut (yes – that kind of gives me the heebie jeebies) one piece of fencing into sections that others may use in their own vintage home or garden. Because I needed a rusty, crusty piece of 3-pickets to hang in my house, I decided to make 7 small pieces available at the market. 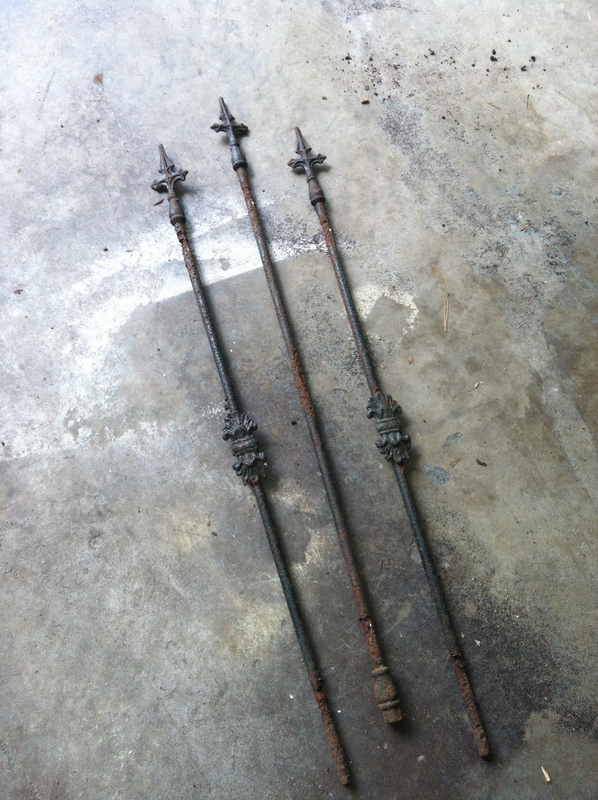 Two 6-picket pieces at $65 each, two 3-picket pieces at $50 each and 3 single pickets (price to be determined when I figure out how useful they are??). I can only hope that the new owners of these special pieces will enjoy them half as much as I do. Perhaps I should take applications to determine their new homes. 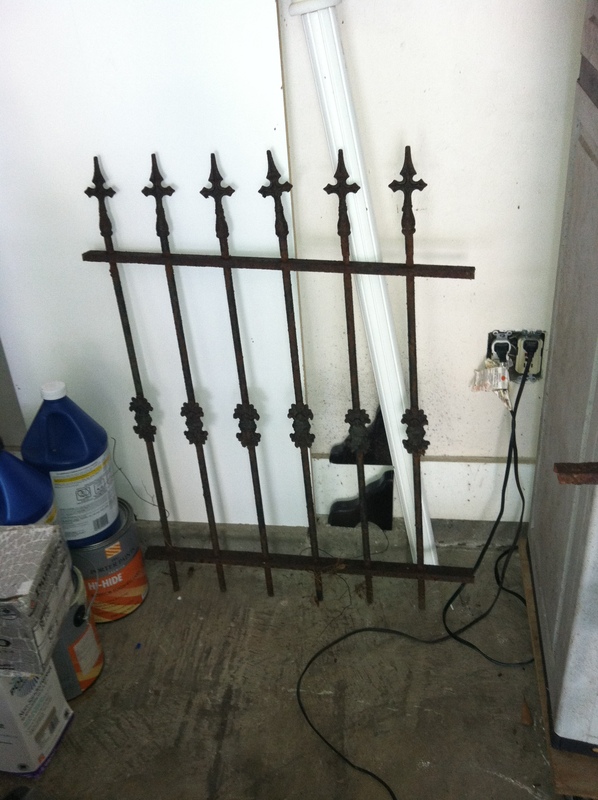 maybe Adopt-a-fence so I can come by and check on them…. just kidding! 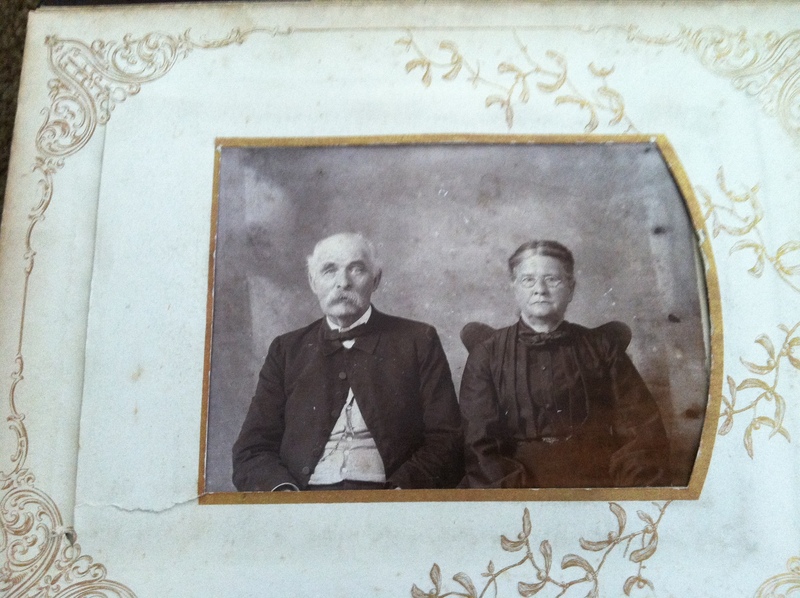 Mary Jane (Davidson) Buckland was the railroader’s mother, my grandmother. 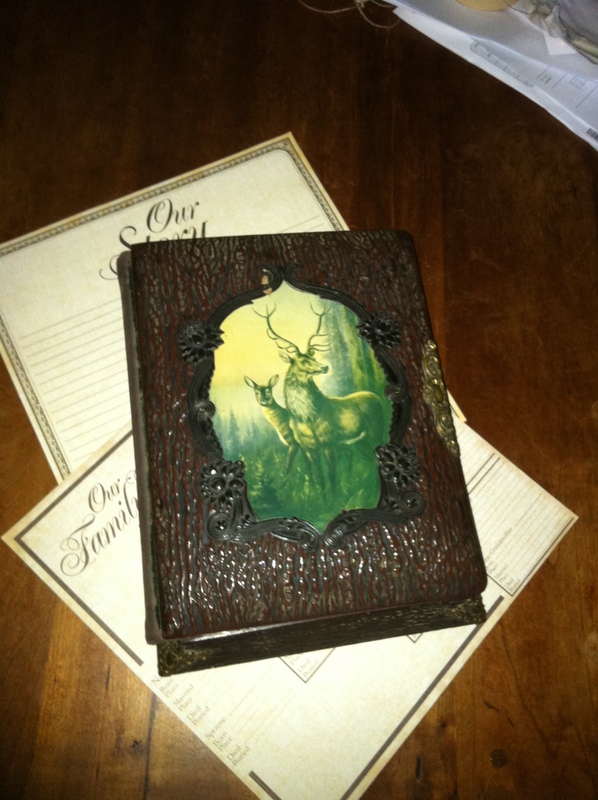 I have her vintage music box – photo album full of family photographs and it has been a treasure of information to me in researching our family history. 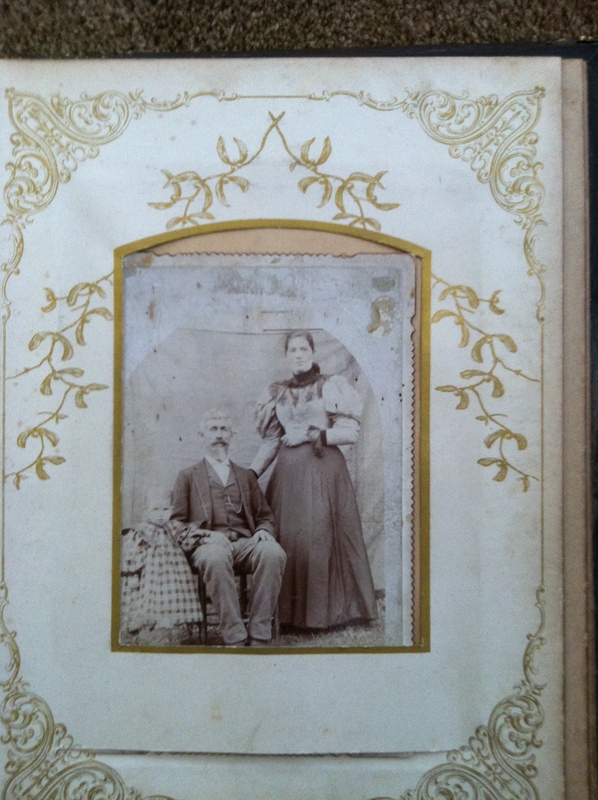 Researching ancestors is a bit like working a jigsaw puzzle. Each little bit of information is a clue to the larger picture or leads to fitting yet another piece of the puzzle into place. 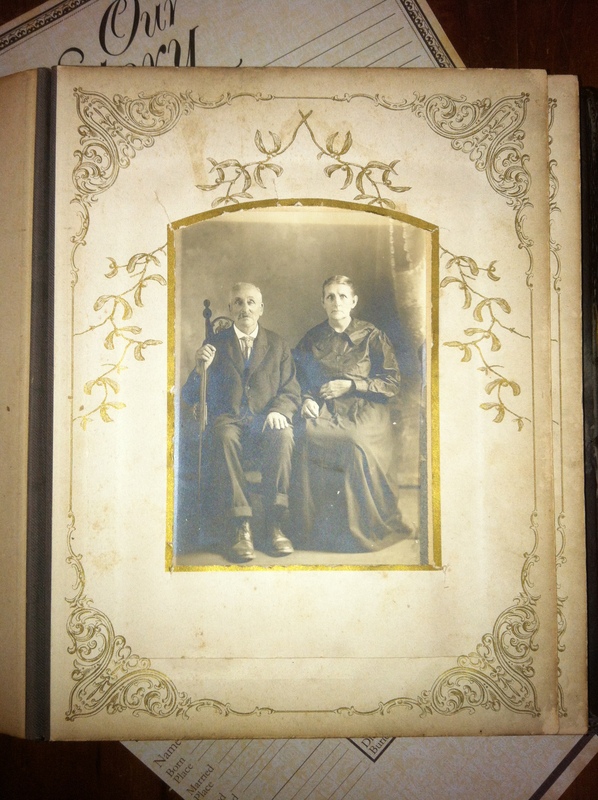 Between Grandmother Buckland’s SCRAPBOOK and this album of old family pictures, I’ve been able to piece together a few wonderful details. Other pictures include Luther Hufford Davidson (MJ’s brother) and two GREGORY couples that I need to identify and find their place on their tree. 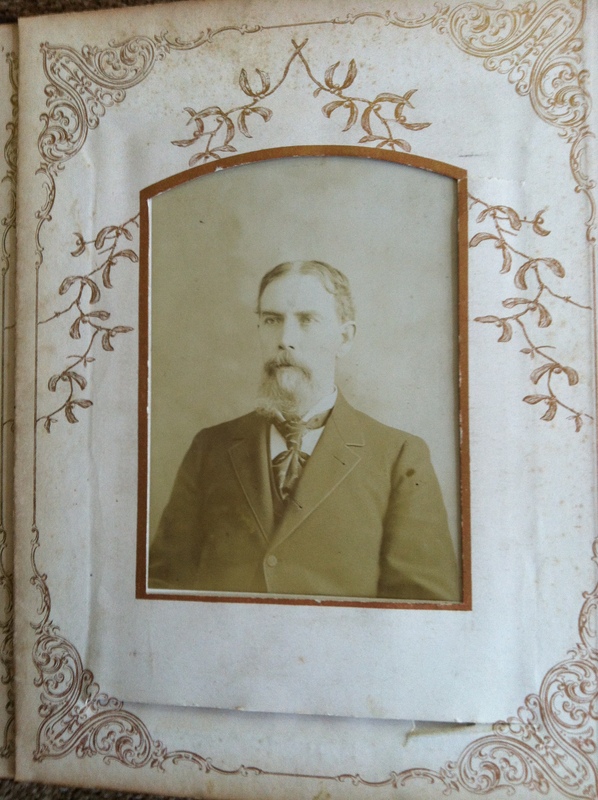 It is obvious to you by now that I love old things – ancestors, personal items, hand-me-downs and things that just look used or vintage. And with this in mind, you’ll understand that I sometimes get caught up in the moment and make peculiar purchases that are otherwise unexplainable. Such is the case with the relatives below. These are not my relatives mind you – but they are someone relatives. I’ve adopted them, loved them and now I’m putting them up for sale at the French Country Flea Market held at Sweet South Cottage and Farms on October 19, 2013. My hope is that someone else will adopt these less-than-lovelies and give them a good home – at least for awhile – like I did. 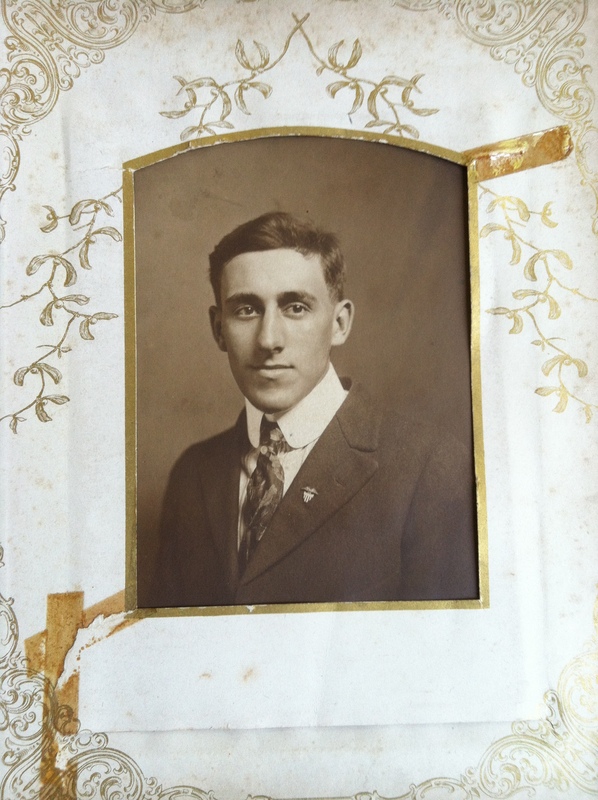 The glint in the eye of the gentleman in the old time photograph caught my attention one day while browsing an antique shop. Some would say, it called my name, but really – I just thought he was adorable and I felt sorry that his family didn’t know where he was. 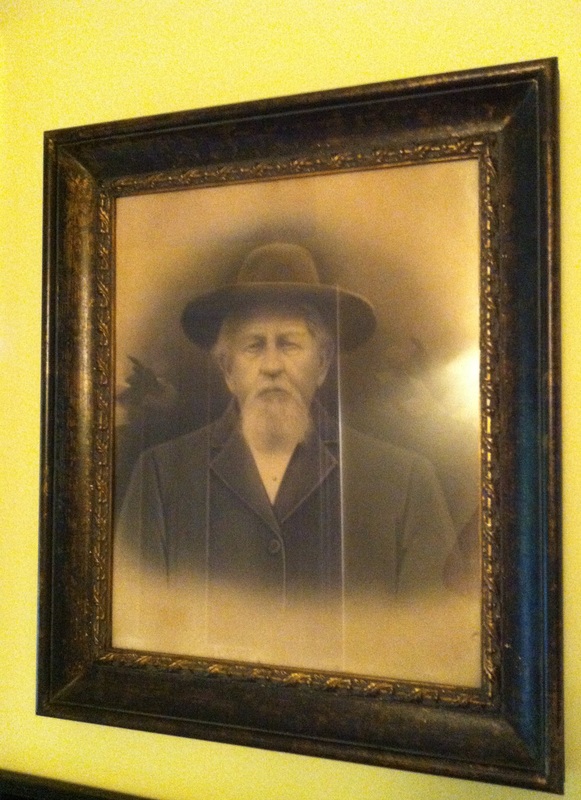 I’d be heart broken to have missed this framed photograph if he had really been my relative. 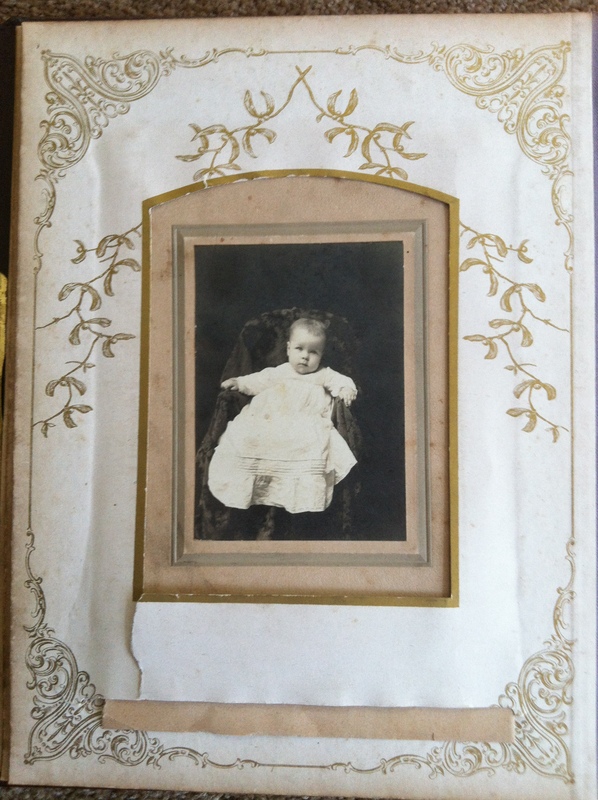 Why people dispose of these precious images is beyond me. Any takers out there for the gentleman in the wide-brimmed hat? 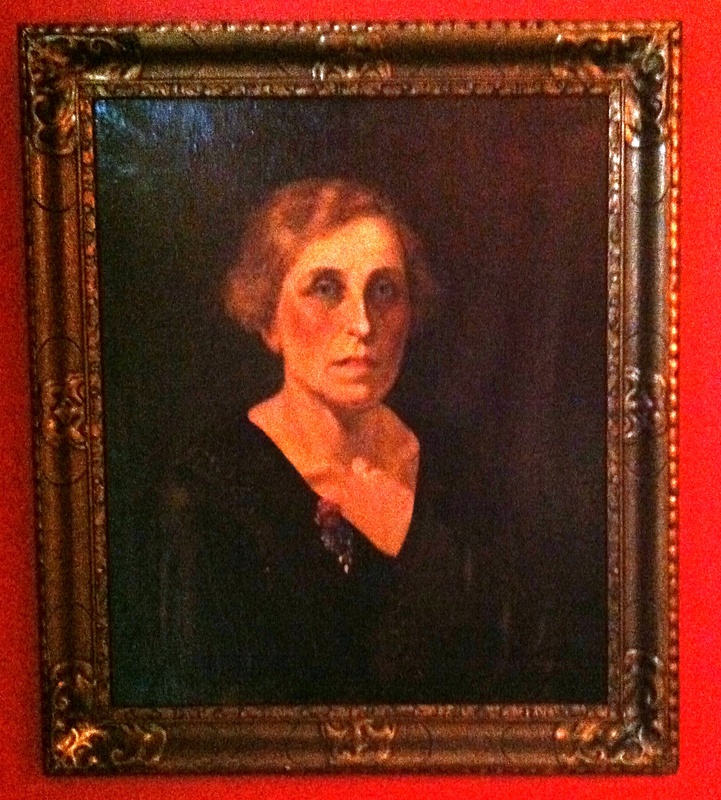 How about the stern-faced lady in the oil painting below? Could she have been a school teacher or preacher’s wife? Maybe not – with that plunging neckline….. and she looks like she could have been a woman of means. It is oil after all. She has a look that would probably scare a child, but I called her Grace and imagined that she was likely very nice in spite of her unhappy, down-turned expression. Could Aunt Grace go home with you? Would you love her? 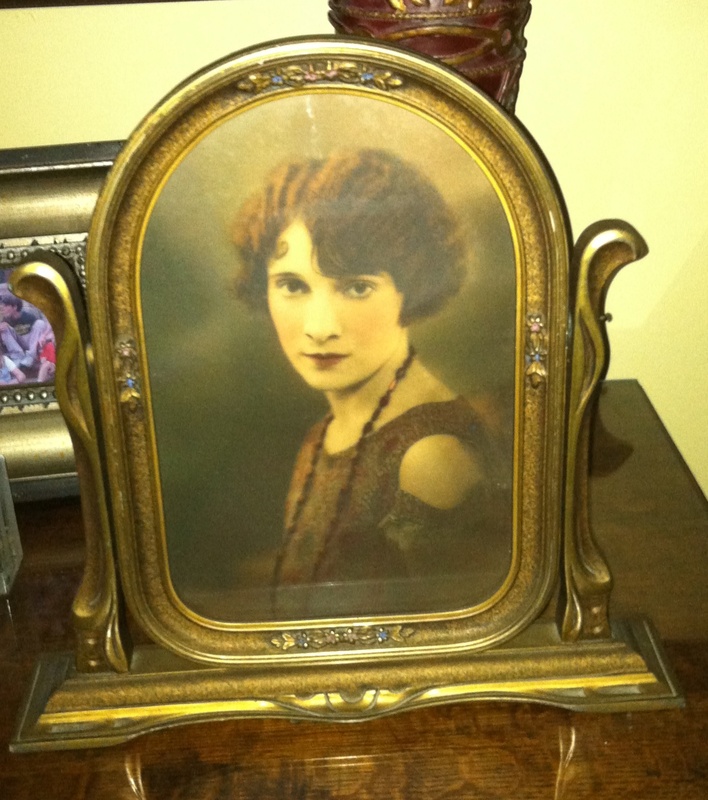 The glamour girl in the pretty frame was purchased because of the frame. I have a picture of my mother-in-law back in the early 40’s and thought it would be perfect. 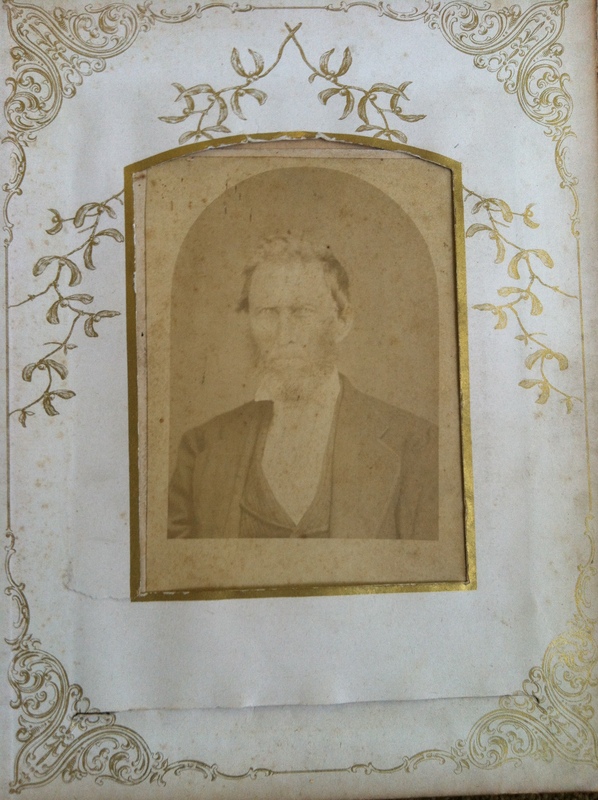 Unfortunately, the picture was too small for the frame and I never got around to resizing the picture. Surely, there will be taker at the flea market that will find this a “must-have” and go home with a wonderful vintage piece in excellent condition. 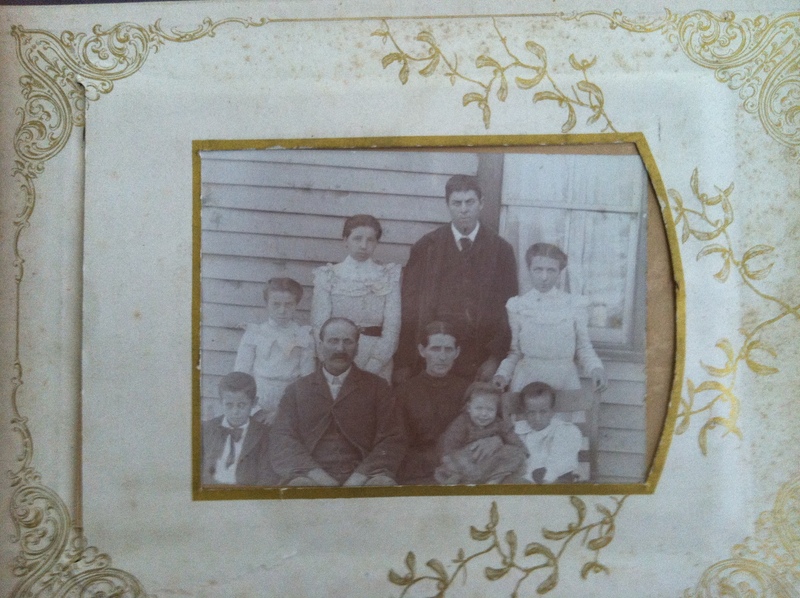 I have loads of images of my family and ancestors and enjoy looking at them and sharing them. 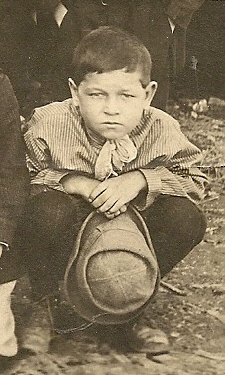 Each time I make a new connection and find another picture of a long lost relative, I am thrilled. 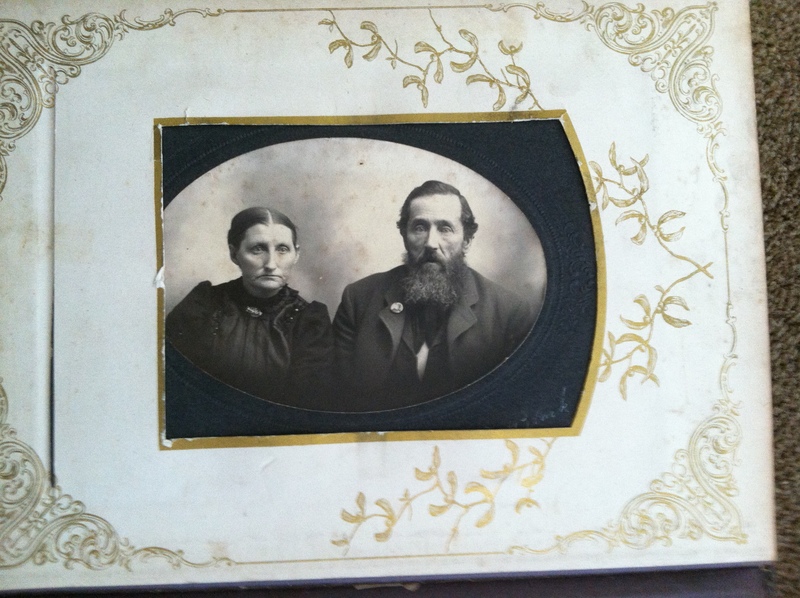 So check these out and if you find a family resemblance let me know. Visit SWEET SOUTH COTTAGE AND FARMS on Facebook and the website. 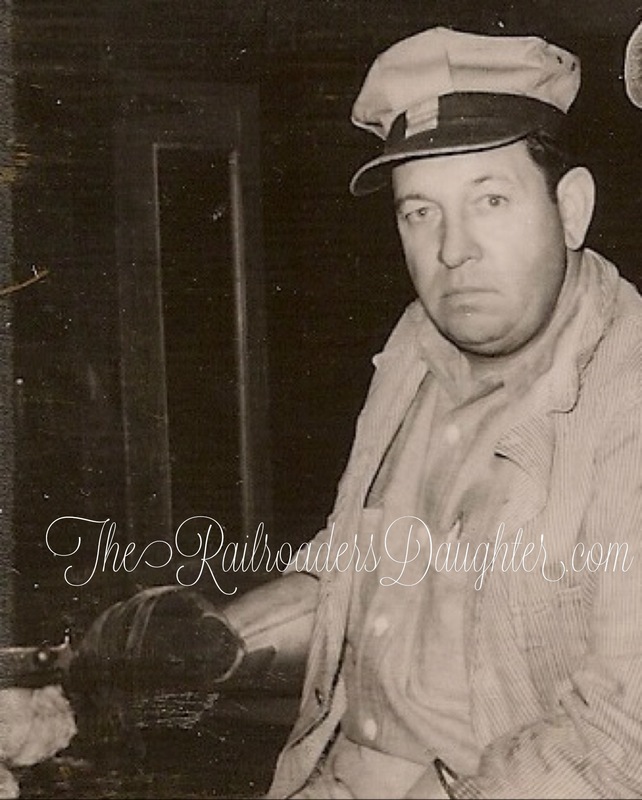 Tell Lisa that The Railroader’s Daughter sent you. And FRENCH COUNTY FLEA MARKET on Facebook and the website.